Tucked into the beautiful Skylands Region of northern New Jersey, this Stanhope, NJ home now known as the Whistling Swan Inn, was built in 1905 and converted to a bed and breakfast in 1985. 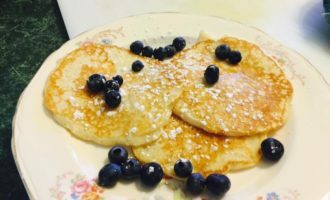 We have kept the flavor of a vintage family home, from a friendly welcome and refreshments upon your arrival, to the sumptuous breakfasts in our dining room or on the pillared porch. Whatever the season, a myriad of activities awaits you in the Skylands — New Jersey’s best kept getaway secret! Stroll in our Victorian garden or read the morning paper on the veranda. Spend the afternoon enjoying the highlights of the Skylands Region including Waterloo Village, Lake Hopatcong, or Morris Canal. Shop for crafts in Chester, go antiquing in Andover and Lafayette, go horseback riding, or go hiking and biking in the state parks. After a busy day, relax on our porch rockers, take a nap in the side-porch hammock, or sit in our parlor and enjoy pleasant conversations with new-found friends. During your stay, enjoy fine dining at one of the Sussex County gourmet restaurants in nearby Newton, Sparta, Lake Hopatcong, or Chester, NJ. Or take a short walk to some of the restaurants near the inn, such as Bell’s Mansion and The Stanhope House. The inn is also blocks away from the Netcong train station, which can bring you to New York City in an hour and a half. Top off your evening at a local entertainment spot, or simply take a stroll and enjoy the quiet. Once the evening is over, continue your getaway with a glass of sherry and homemade cookies next to a crackling fire in our cozy guest parlor. When you’re ready to retire, relax in your Jacuzzi tub or fall asleep to a movie from our DVD library. The Whistling Swan Inn hosts weddings, baby showers, bridal showers, Victorian tea parties, and private dinners. We offer a variety of romantic packages for your New Jersey vacation, which include a massage package, a roses and chocolates package, and a horseback riding package — the perfect idea for an anniversary, honeymoon, or romantic getaway. We offer corporate rates for frequent business guests and special rates for extended stays. We are one mile away from the International Trade Center and less than ten miles away from Picatinny Arsenal. Please see our business travel page for more information. 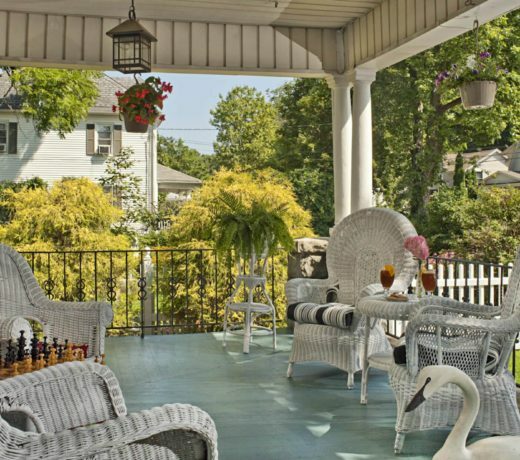 The Whistling Swan Inn was named one of the “Best B&B’s in New Jersey“. (Click on the link for the full article) We are pleased to be in such distinguished company. Many thanks to all who voted for us. NEW!! Refer a friend, colleague or family member and receive a $50 gift certificate toward your next stay as our thank you. Find out how. 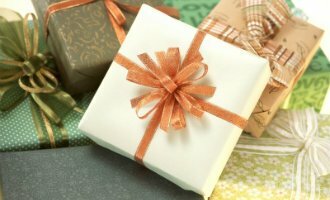 For the person who has everything, a gift certificate for a luxurious B&B experience is an excellent choice. Our breakfast always gets high marks from our guests. You won’t want to miss it. 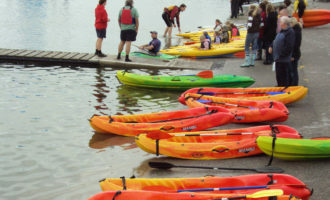 There’s plenty to do on NJ’s largest lake.